Cozy and quite convenient! 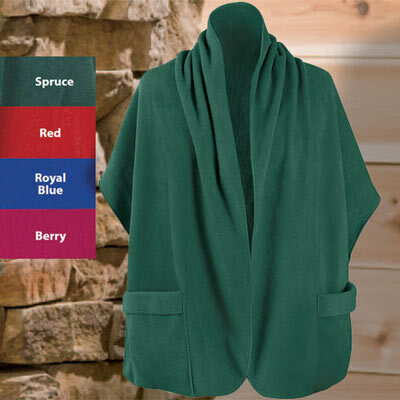 Wrap up in this super soft Pocket Shawl and discover a little something extra...roomy patch pockets on each side! Pill-resistant polyester fleece. Machine wash. Imported. One size fits most. Rectangular body measures 20" x 64".